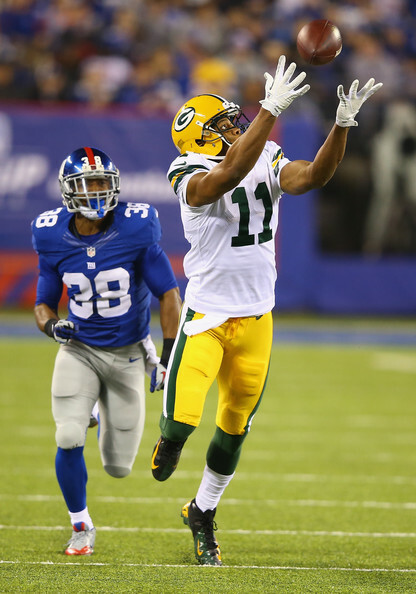 Looks like Packers receiver Jarrett Boykin has the inside track on the WR3 position in Green Bay. The development is significant for Davante Adams ADP in rookie drafts. It appears that, mercifully, it will be put up or shut up time for Colts running back Trent Richardson. He has capable backups that could unseat him early. The early indications are Andre Johnson will not be traded away from Houston. Any move would be good for his dynasty stock as there’s not many teams with so little offensive talent around him. This entry was posted in Daily Update and tagged andre johnson, davante adams, jarrett boykin, trent richardson. Bookmark the permalink.